It’s official: Harriet Tubman is taking Andrew Jackson’s place on the $20 bill, becoming the first woman to appear on U.S. paper money. Most of us have a general idea about Harriet Tubman’s life, but the specifics are worth digging into. Harriet Tubman is one of the most important and interesting people to be involved in the American Civil War. Born in March of 1822, Tubman’s early life dominated by slavery. 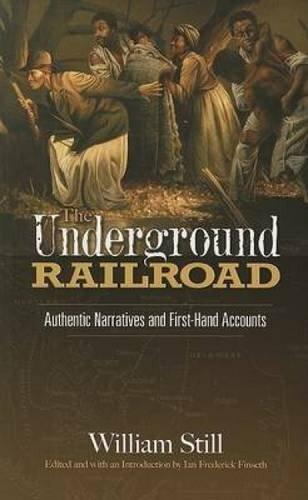 Her entire family—her mother, father, four brothers, three sisters, and grandmother—were all enslaved in the state of Maryland. She spent much of her youth listening to Bible stories told by her mother, which inspired a sort of religious duty in her that would last through the entirety of her life. Tubman was frequently hired out by her owner, Edward Brodess. Tubman worked as a maid, tasked with looking after young children. She was sent into the nearby marshes to check muskrat traps. She was even given the jobs of driving oxen, hauling logs, and plowing fields. And that was all while she was still a child. 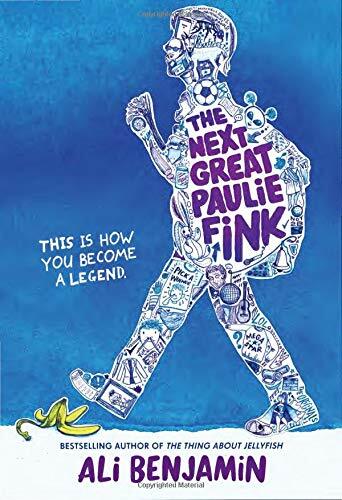 Whenever she would fail at these jobs or even if something out of her control went wrong, she would receive a harsh whipping – something that the young girl wouldn’t take lying down. She’d often times fight back against her owner and the people he’d hired her out to. Of course, her willingness to fight for herself only earned her more trouble in the end. One afternoon, while Tubman was still a young girl, she was sent out to a market to buy supplies for her owner. As she arrived, Tubman encountered a slave owned by a different family, who had left the fields without his owner’s permission. The slave’s overseer had tracked him down and demanded that Tubman assist him in restraining the slave. She refused, and as the slave began to run off, the Overseer threw a two-pound weight at the slave. He missed and hit Tubman instead. The weight hit Tubman square in the headand caused her a terrible head injury. While she survived and made a moderate recovery, she suffered form dizziness and headaches, and was prone to pass out on occasion. After the incident, Edward Brodess tried, unsuccessfully, to sell Tubman to another owner. At the age of 22, in the year 1844, Tubman married a free African American named John Tubman. In Maryland at the time, it wasn’t all that uncommon for African families to be part free and part enslaved. Only five years later, Tubman became extremely ill, and once again Brodess tried to sell her—but died before he could find a buyer. While Tubman was saved from being immediately broken apart from her family, Brodess’ death made it all the more likely that the entire family would be sold, and sure enough, Edward’s widow, Eliza Brodess, began trying to sell the family’s slaves. As Tubman recovered, she made a bold decision. Against her husband’s advice, Tubman, along with her brothers Ben and Henry, escaped from slavery in the September of 1849. However, just weeks after they escaped, both Ben and Henry decided to return to the Brodess farm, and Tubman went along with them. Tubman didn’t remain on the farm for long. Within weeks she made her escape yet again. This time, she used the network known as the “Underground Railroad” to help in her escape. Moving from safehouse to safehouse, Tubman was helped by dozens of families as she pushed further north—always traveling under the cover of night, and in fear of slave catchers. It didn’t take long for her to cross into Pennsylvania, where Tubman was essentially a free woman. Her destination was Philadelphia, which she arrived at shortly after crossing the state line. She didn’t stay long, however, as her mind wandered to thoughts of her family. Determined not to be the only one of her kin to be free, she worked odd jobs, saving up money until, in 1850, Tubman worked her way back along the railroad with a goal in mind. She had been informed that her niece Kessiah and her two children were going to be sold in Cambridge. Tubman made her way down to Baltimore where she met up with her niece, her niece’s husband, and their children. From there, Tubman led the way back to Philadelphia—and this wouldn’t be the last time she helped slaves escape. Over the next few years, Tubman worked her way down into Maryland and then back up into Pennsylvania many, many times. Each trip she’d come back with more slaves eager to cross the border into the free state. In 1858, Tubman met John Brown, a northern abolitionist who believed that violence was the best way to end slavery in America. Brown and Tubman were both extremely religious people, and Tubman claimed to have had a prophetic vision of their meeting beforehand. John took quite well to Tubman, and the two began planning what would become John Brown’s raid on Harper’s Ferry, Virginia. The two recruited freed slaves, discussed plans for the assault, and imagined what would come after the raid. However when it came time for the raid to commence, Tubman couldn’t be contacted, most likely because she was ill with a fever. John Brown’s raid failed, and after a massive standoff with the U.S. Marine Corp and members of Virginia’s militia, Brown was apprehended and executed for treason. Not long after that, the U.S. Civil War broke out in 1861. Tubman recognized that a Union victory would be a massive step towards abolition and set about looking for ways to help the North. Tubman served as a nurse in Port Royal, South Carolina, and ended up meeting Union General David Hunter, who shared her abolitionist views. (Even before the Emancipation Proclamation was declared, Hunter was personally going around trying to find freed slaves to form black regiments in his army.) When emancipation was declared law in 1853, Tubman took a more active role in the war, becoming a scout in the Union army. The swamps and rivers of South Carolina were similar to the marshes of Virgina, and Tubman was able to use her keen insight in the terrain to assist the Union in planning out its movements. Later that year, Tubman became the first woman to lead an armed assault during the Civil War. When Colonel James Montgomery and his troopers began conducting raids on a group of plantations along the Combahee River, Tubman served as an adviser and accompanied the troopers in the assault. Tubman led three steamboats through Confederate waters up along the river and disembarked with the troops, who then set fire to the plantations and stole thousands of dollars in food and supplies. As the commotion was going on, hundreds of slaves from the plantations began rushing out into the open towards the steamboats, where they were brought aboard. More than seven hundred and fifty slaves were rescued in that raid on the plantations. Newspapers called Tubman a hero, and for the next two years she’d continue to work with Union forces as a scout and nurse, and she helped recently liberated slaves acclimate to their life in freedom. Despite all her service, Tubman didn’t receive compensation from the Government until 1899–mostly due to the strange and oftentimes unofficial nature in which she operated within the Union army. After the war, Tubman settled down with her family in Auburn, Alabama. She worked many odd jobs to make ends meet and regularly took in borders for extra money. One border she took in was another veteran of the civil war named Nelson Davis. He was in Auburn to stay, and although he was twenty-two years younger than Tubman, the two quickly fell in love. On March 18, 1869, Tubman and Nelson married, and in 1874, they adopted a baby girl named Gertie. From that point on, Tubman’s life was mostly calm and quiet. She had lived a long, full life and was content to live out the rest of her years with her loving family, with freedom that they had won with their very own hands. 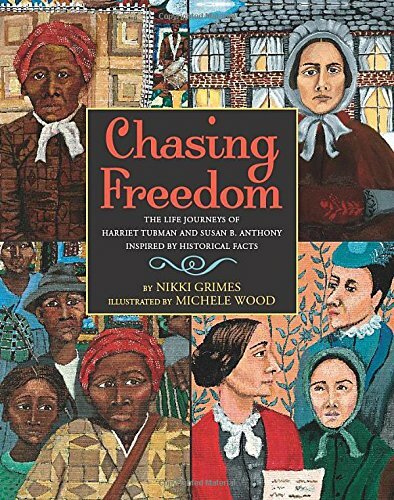 In Chasing Freedom: The Life Journeys of Harriet Tubman and Susan B. Anthony Inspired by Historical Facts, Nikki Grimes imagines two of the best-known women in U.S. history sharing their stories with each other. It’s an ambitious project, but it works—and the storytelling brings both women to life for elementary students. 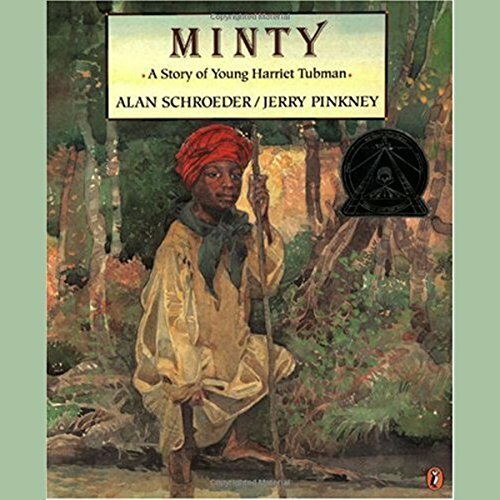 Also a good readaloud, Minty: A Story of Young Harriet Tubman focuses on Tubman’s early life, illuminating both her strength of will and her yearning for freedom. 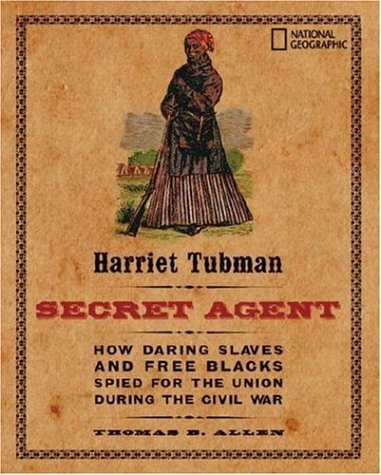 For middle grade readers, Harriet Tubman, Secret Agent: How Daring Slaves and Free Blacks Spied for the Union during the Civil War reads like an adventure novel, full of secret codes and bold escapades—all of which are solidly grounded in well-researched historical facts. 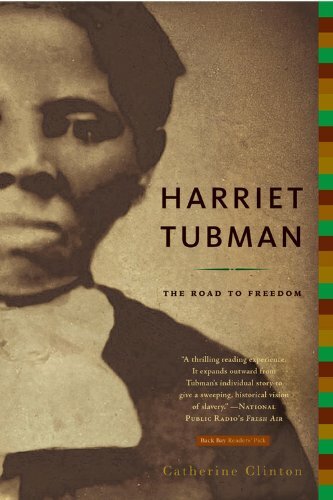 Harriet Tubman: The Road To Freedom by Catherine Clinton makes a great read for teens. Clinton helps contextualize Tubman’s life so that she’s a real, complicated human being rather than a mythic figure. Kane Taylor is a homeschool graduate and an avid history buff.